She Writes Press, 9781938314384, 280pp. When twenty-something artist Erica Mason moves from laid-back Mexico to Manhattan in the mid-1970s, she finds a hard-edged, decadent, and evolving art scene. Her life there leads her to a self-destructive string of affairs with men, alcohol, and drugs, but also, ultimately, to the self-respect that has long eluded her. After graduating from the University of Wisconsin with an honors degree in Latin American Studies, Linda Dahl worked as a freelance journalist in Mexico, Ecuador, and Brazil, with a particular interest in the arts. Based in New York since the mid 1970's, her books reflect her interests in the arts and love of research. Stormy Weather: The Music and Lives of a Century of Jazzwomen (Pantheon, 1984) was called "a brilliant work of oral history" by Publishers Weekly. Morning Glory: A Biography of Mary Lou Williams (Pantheon, 2000), was a New York Times Notable Book of the Year. Haunted Heart: A Biography of Susannah McCorkle (University of Michigan Press, 2006), wrote Leon Wieseltier in The New Republic "is vivacious, tender, saturnine, industrious and deeply intelligent." Her novel, Gringa in a Strange Land (Robert D. Reed Publishers), won the Writers in the Sky Award for Best Creative Writing of 2010. 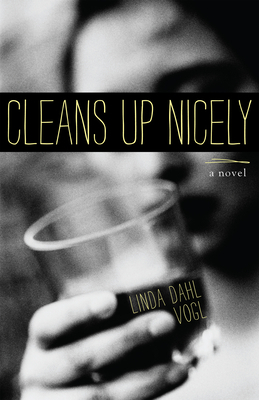 Linda has just completed a new novel, Cleans Up Nicely, to be published in2013 by She Writes Press.